So it’s been a while since I’ve posted anything and what with a new job, studying philosophy AND starting a professional diploma my head is a little full. So I thought I’d introduce my bonsai who are looking all awesome and wintry. This was my first bonsai and like my first child (I don’t have one) I secretly love it a little more than the rest. It’s a Golden Larch group and it looks awesome in the summer – a bit like Sideshow Bob. I might name it so if you have any suggestions let me know. 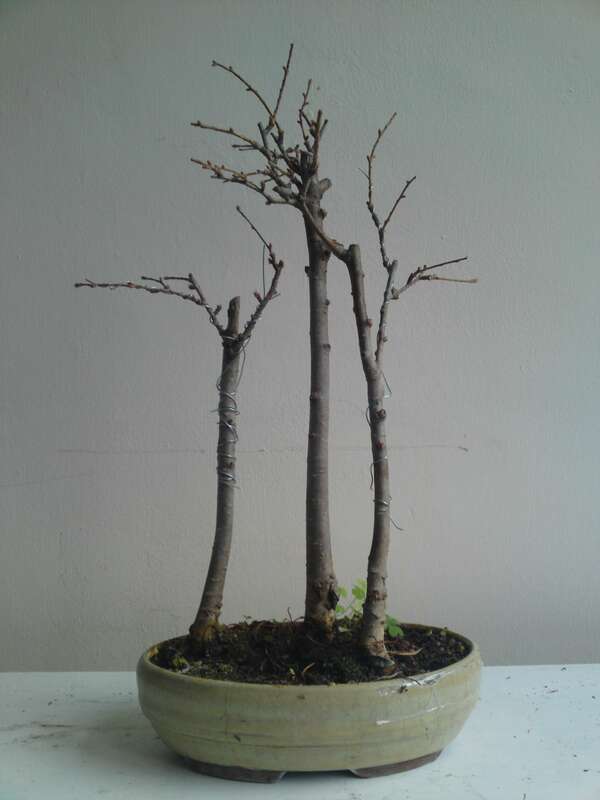 This entry was posted in bonsai and tagged Golden Larch, Pseudolarix amabilis. Bookmark the permalink.